1 What is DigitalOcean Web Hosting? What is DigitalOcean Web Hosting? 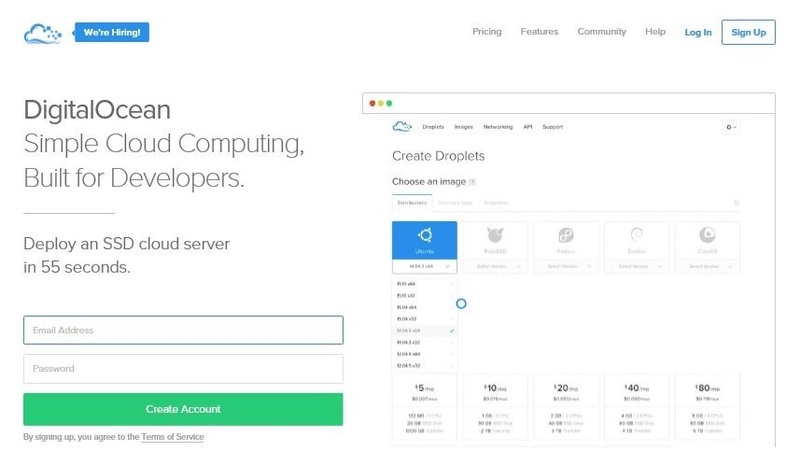 DigitalOcean is a cloud web hosting provider. It is one of the youngest and largest web hosting providers. Ben Uretsky and his team launched DigitalOcean in 2011 with its headquarter in New York City. 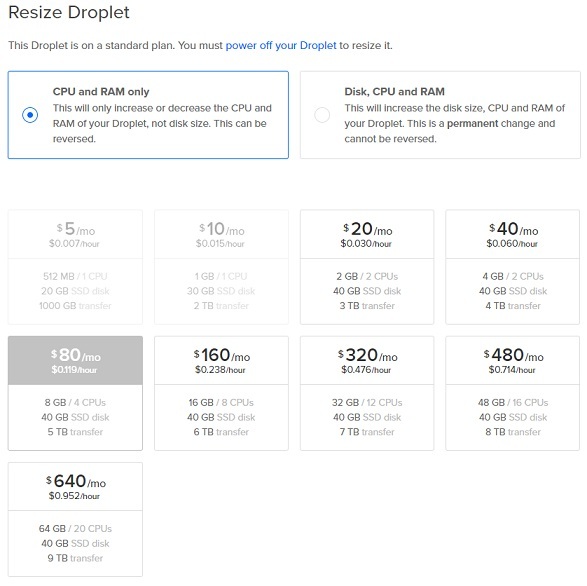 Please take not DigitalOcean is not the same with the regular shared web hosting company, they use the term “droplet”. In simple words, it is a server space that store all your website information, including files, databases, etc. They maintain the hardware and network that Droplets run on, and you are responsible for the setup, applications, etc. It is self-managed. They do not access to the droplets. Moreover, they do not provide domain registration service and do not handle email like the way regular web hosting company does. You will need to point your domain to the DigitalOcean droplet. It has about eight data centers in different parts of the world. Some of the countries where its data centers are located include Europe (Amsterdam), India (Bangalore), London, New York San Francisco and so many others. Some of the management team and co-founders of DigitalOcean are Mitch Wainer, Carr, Ben, and Moisey Uretsky. It offers both low-end and high-end hosting plan to its millions of customers worldwide. It is an excellent web hosting for developers because of its pure cloud computing which makes web hosting very easy for beginners with little technical knowledge. 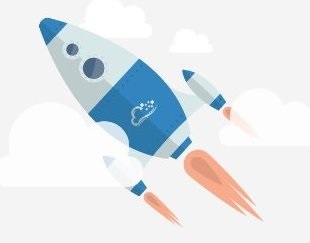 DigitalOcean helps you build up your site with ease using its sophisticated technology. The one click installations feature helps you install most of your apps just by one click. It has been rated as one of the best web hosts for cloud servers. It offers unique features and accepts payment using PayPal and credit cards. DigitalOcean has a good number of positive reviews with few negative reviews. It is also quite recommendable when compared with some other web hosting providers. This DigitalOcean reviews will give you an insight on the company performance. DigitalOcean offers many types of hosting plans. It covers both low-end hosting as well as the high-end hosting solution. Besides, DigitalOcean has many advanced features that make them a leading web hosting company. DigitalOcean services are quite affordable. When it comes to pricing structure, DigitalOcean offers simple pricing structure with no complicated hidden fees. It has price structure ranging from $5 to $80 per month. Its cheapest hosting plan starts at $5 per month (offers 1GB memory, 1 core processor, 20 GB SSD disk space and 1terabyte transfer) which is quite affordable when compared to other hosting providers offering the same price for lower services. They also bill hourly, you either pay per month or hourly basis. They also have plans that start with $20 monthly fee and offer you 2 GB memory with 2 core processors, 40GB SSD disk space, and 3TB transfer. It also has hosting plans with startup prices of $40 and $80 monthly. The highest price structure for low-end hosting is $80. DigitalOcean also offers the high-end hosting solution for websites that have greater needs. The DigitalOcean high volume plans are more powerful and indeed more expensive. Their most expensive plan starts at $1680 per month, with 2 powerful Features of DigitalOcean. DigitalOcean has many advanced and useful features. Some of them are one-click installation, scalability, easy to use control panel and private networking. DigitalOcean offers one-click installation to its customers. With DigitalOcean, you can install your applications with just one click including e-commerce software. As you can see below, there are many applications available for the one-click installation. For example, WordPress, Drupal, and Magento. DigitalOcean is not a traditional type of web hosting provider. It runs solid state drive (SSD) which makes their hosted sites perform greatly with a high speed. 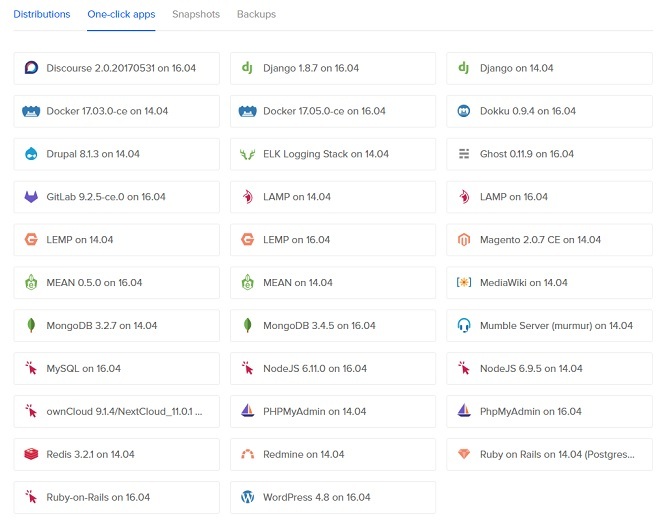 All configurations in DigitalOcean can be done easily. It has high speed, good performance, and their SSD is scalable. With DigitalOcean, you can share the same server with other customers but yet have different login information. Their servers are well secured, and their technical team is always available in case of any security issue. In case there is a spike in traffic and you need more server resources, you can always resize your droplet. For example, if the spike in traffic is temporary, you can always choose to resize the “CPU and RAM only”. This will give you more resources to handle the traffic. You can downgrade it to the original droplet package anytime. However, if you choose to increase the disk size too, this will a permanent change and cannot be reversed. The DigitalOcean control panel is easy and friendly to use. You can use it to control all your servers just in one click. DigitalOcean uses ServerPilot as its control panel. 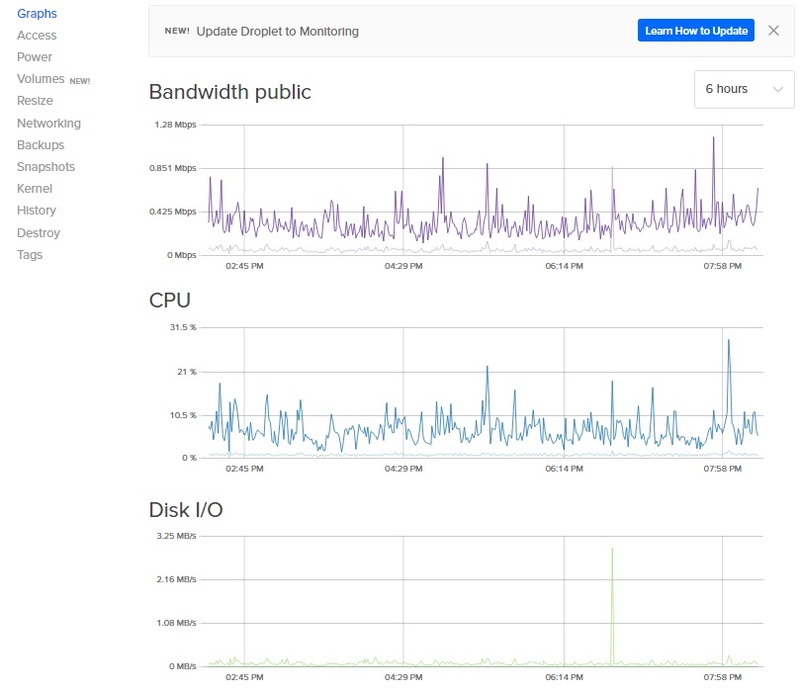 ServerPilot helps you manage your entire servers from one place, and it also secures and monitors your apps. This makes it easy to manage multiple servers at a time. Some prefer ServerPilot over cPanel. It is cost effective, high speed and more secured. I am hosting one of my websites with DigitalOcean and below is the screenshot of the dashboard. There is a menu on the left side for easier navigation. Besides, live time graph is updated constantly for you to monitor your droplet condition. If the usage of the “CPU” hit the 100%, your droplet will be down. They show you this graph and you can get alerted if your current droplet package is sufficient to handle the traffic and server resource usage. DigitalOcean uses private networking. It has its data centers all over the place and recently opened a new one in Frankfurt. This latest data center was built with 40GB networking and a faster solid state drive. All DigitalOcean data centers are built with SSD making its servers have a very high performance and speed. They are currently planning to upgrade their former data centers to 40 GB networking and a higher hypervisor. 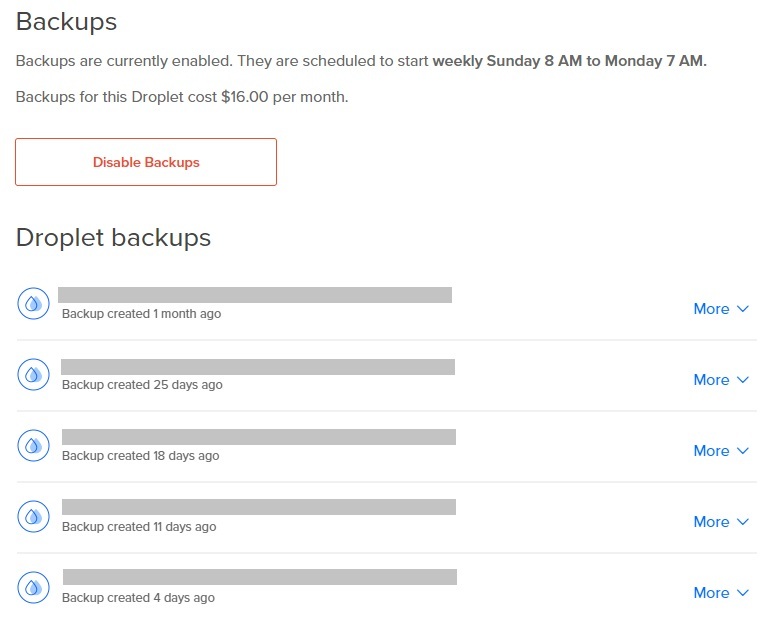 DigitalOcean offers an automated backup solution that enables you to have more copies of the droplet. 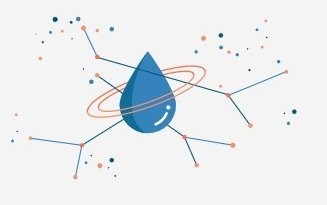 If you are not familiar with the term “droplet”, in simple words, it is a server space that store all your website information, including files, databases, etc. Hence, backup the droplet means backup your whole website. You always restore the droplet if any bad thing happens. The monthly cost for the automated backup is charged at 20% of your current package. For example, if you are on their $10 hosting droplet, the cost will be additional $2 per month. I am on their $80 droplet, so the monthly cost is $16 per month. 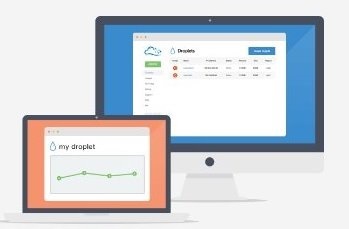 The droplet is automated backup every 7 days. If you are not interested in their automated backup solution, you can always opt for the “manual” way. You can take a snapshot and it will also make a copy of your current droplet. You can take as many snapshots as you wish if you are willing to pay the fee. The charge depends on the size of your droplet. They charge $0.05/GB/month or for easy understanding, $0.50/10GB/month. You can delete the snapshot anytime and they would not charge you for this. If you are familiar with the cPanel, you know there is a “File Manager” that allows you to access and edit your website files easily. Anyway, this is not the case with DigitalOcean. You will need to go through the SSH in order to access your droplet and the files. You can use the program like FileZilla to access the website files. 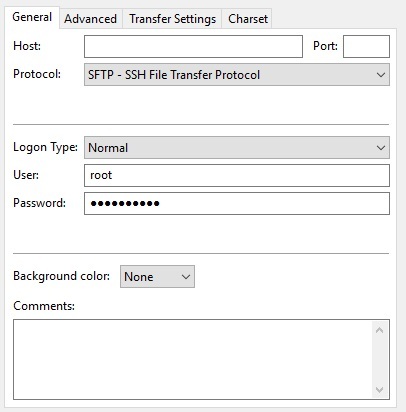 Enter the droplet IP in the “Host” field, user, password and select the protocol to SFTP. You will get these details when you finish setting up your droplet. Now you are ready to connect and access your website files. DigitalOcean is a popular WordPress hosting provider. Over 60 million site users and bloggers use WordPress because it allows you to manage your website easily. It makes web development very simple and easy with the numerous plugins it comes with. DigitalOcean WordPress offers VPS and dedicated server. These hosting plans enable you to have full control of your server which is not applicable to the shared hosting plan. DigitalOcean gives you the opportunity to install WordPress with its one-click installation. This also can be done manually by installing Apache, MySQL, and PHP because they are the basis on which WordPress is built. WordPress can also be installed automatically to your DigitalOcean server. The population targeted by DigitalOcean is WordPress powered websites. Hence, they optimized their platform so that it is fully compatible with WordPress. 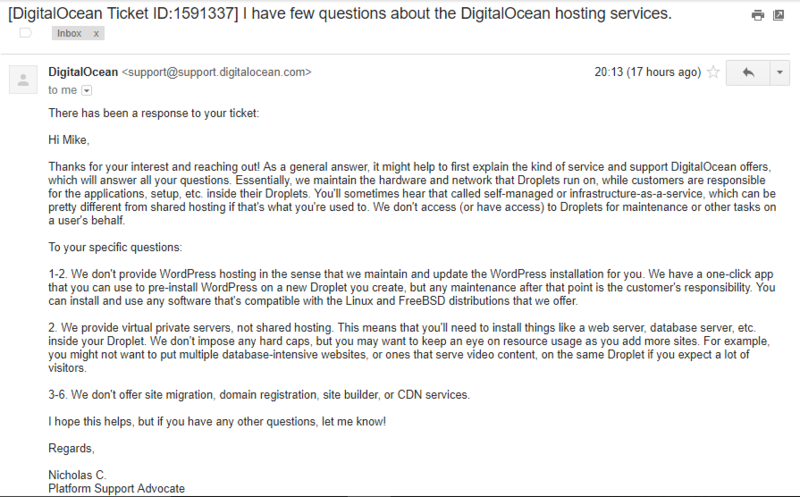 Just like most web hosting providers, DigitalOcean claims to offer 24//7 customer support to its clients. Their support team can be reached by email, chat or telephone. However, DigitalOcean has some negative reviews about its support team and their services. Some of their customers complain of having to wait for a long time before their request will be entertained. Anyway, my personal experience with them was quite good. 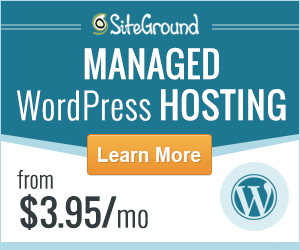 If you are looking for a web hosting service provider that has excellent customer support, then we would recommend SiteGround. I have contacted the customer support personnel of DigitalOcean to test their support service. As they do not offer live chat support that’s why I contacted them through ticket support. I initiated my query on 26th June (16:30) and got their reply within 4 hours at 20:13. I appreciated their quick response. Nicolas C responded to my ticket and answered each and every question in detail. I am satisfied with their customer support service. I rated Nicolas C 10 out of 10 because of his courteous and polite tone. Hi, my name is Mike Lee and I have few questions about the Digital Ocean hosting services. 1. Which control panel is used by Digital Ocean to handle Linux hosting, Windows hosting or any other? 2. Any One-Click installation service? Via Softaculous, QuickInstall or other platforms? 3. Any free site migration services? Or do we need to pay for it? 4. Is free domain provided with your all hosting plans? 5. Any Website Builder offered? 6. Does Digital Ocean offer a Content Delivery Network (CDN)? Thanks for your interest and reaching out! As a general answer, it might help to first explain the kind of service and support DigitalOcean offers, which will answer all your questions. Essentially, we maintain the hardware and network that Droplets run on, while customers are responsible for the applications, setup, etc. inside their Droplets. You’ll sometimes hear that called self-managed or infrastructure-as-a-service, which can be pretty different from shared hosting if that’s what you’re used to. We don’t access (or have access) to Droplets for maintenance or other tasks on a user’s behalf. 1-2. We don’t provide WordPress hosting in the sense that we maintain and update the WordPress installation for you. We have a one-click app that you can use to pre-install WordPress on a new Droplet you create, but any maintenance after that point is the customer’s responsibility. You can install and use any software that’s compatible with the Linux and FreeBSD distributions that we offer. 2. We provide virtual private servers, not shared hosting. This means that you’ll need to install things like a web server, database server, etc. inside your Droplet. We don’t impose any hard caps, but you may want to keep an eye on resource usage as you add more sites. For example, you might not want to put multiple database-intensive websites, or ones that serve video content, on the same Droplet if you expect a lot of visitors. 3-6. We don’t offer site migration, domain registration, site builder, or CDN services. I hope this helps, but if you have any other questions, let me know! An excellent uptime record is one of the features a web hosting provider must have. DigitalOcean offers its customers a 99.9% uptime guarantee. Also, they compensate their customers if there is a downtime, and their compensation is based on the length of time that the customer experienced the downtime. Their technical support team is however readily available to ensure they have little or no downtime. 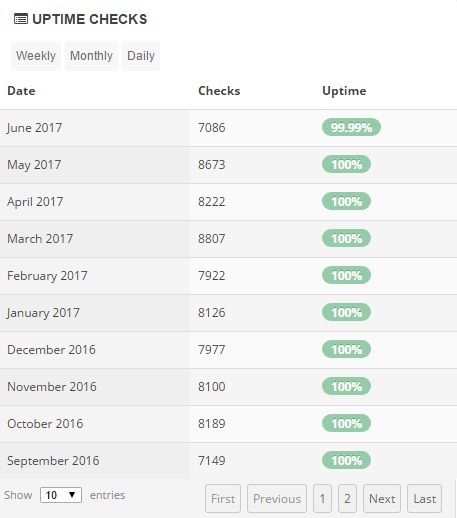 DigitalOcean guarantees to provide 99.90% uptime to all of their clients. As I mentioned earlier, one of my websites is currently hosted on DigitalOcean. I am collecting the uptime stats of the website and it is published above. Their uptime performance was up to the mark as the company fulfilled their claim for all 10 months. DigitalOcean succeeds in hitting its uptime target as shown in the above image. 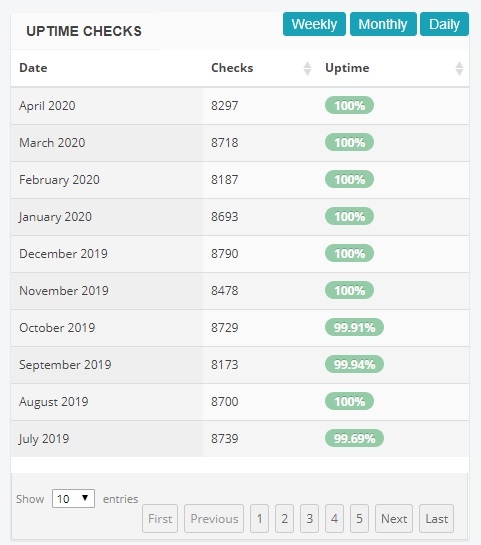 Their average uptime during these 10 months comes out to be 99.999%≈100%. It has been found that digitalOcean offers excellent uptime to their customers all around the world. I rate their uptime performance 10 out of 10. I pinged my DigitalOcean hosted website from different locations in order to trial their server response speed. This hosting company achieved A+ rating in June 2017. I found their server not only speedy but also reliable. DigitalOcean makes sure that none of their customers face problems like slow speed or down server. I got good speed from all 8 locations which show that DigitalOcean offers 100% fast and speedy network. With SSD, DigitalOcean is capable of providing high-performance speed on all hosting plans. If you are looking for fast server response, then it is the best hosting company for you. It has lots of data centers scattered in different parts of the world leaving the customers with varieties to choose from. Their interface is well simplified. They offer a superb uptime guarantee. With DigitalOcean, there is no room for domain registration service. There is no solution to handle your email, you will need to host your email with third party email service provider. There is no Live Chat support which causes the “instant” problem-solving solution does not exist. DigitalOcean is one of the few web hosting providers offering optimized WordPress and cloud hosting plan. Although they do not help you in setting up your WordPress site, DigitalOcean provides an optimized server condition for the WordPress hosting. It is customer focused and channeled its features to make web hosting easy and straightforward. It has proven to be a reliable, scalable and reputable web hosting provider. As you can see from the stats above, their uptime performance is just amazing. DigitalOcean is ranked above average when compared with its competitors. If you are looking for a good web hosting service provider, DigitalOcean is the one to consider and sign up with. Compare DigitalOcean With Our Top Ranked Web Hosts!